If you’re looking for a new apartment, you’re not alone. The Census Bureau reports that more people move to a new rental during the summer (May to August), than any other season. 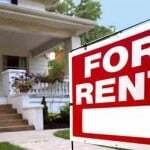 With vacancy rates across the country down, and rental rates up, it’s a landlord’s market, and it can be a challenge to find what you want at a price you can afford. Here are five negotiation tips to help you through your apartment search.